Mrs. Ernestine Benford Gee was a longtime resident of Birmingham and more recently of Richmond, CA. She retired as a Licensed Vocational Nurse with Kaiser Hospital. 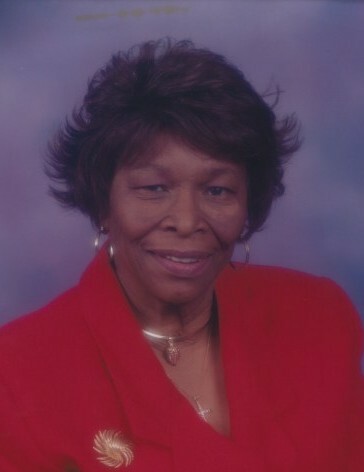 She leaves to cherish her l memory one son, Erskine (Cheryl) Benford, Sr. and; two grandchildren, Erskine II and Shvey both of Richmond, CA; two sisters, Sylvia (Don) Mack of Gardena, CA and Francis (Johnnie) Tatum of Atlanta, GA; one brother, Michael Benford of Birmingham; many other relatives and friends. Service of memory will be Friday, January 18, 2019 at 11:00 AM at Westside Funeral Chapel Fairfield, Pastor Bruce Henderson, officiating with interment in Elmwood Cemetery. Her remains will lie in repose on Thursday from noon until 6:00 PM at Westside Funeral Home Fairfield.